The Cre8tion Crochet Loyalty Program is no longer available. You CAN still purchase A Year in Crochet 2019 HERE. The Loyalty Program will once again be open for enrollment in October of 2019 for the 2020 year! How awesome would it be to get 50% off of every Cre8tion Crochet pattern, including all new releases? 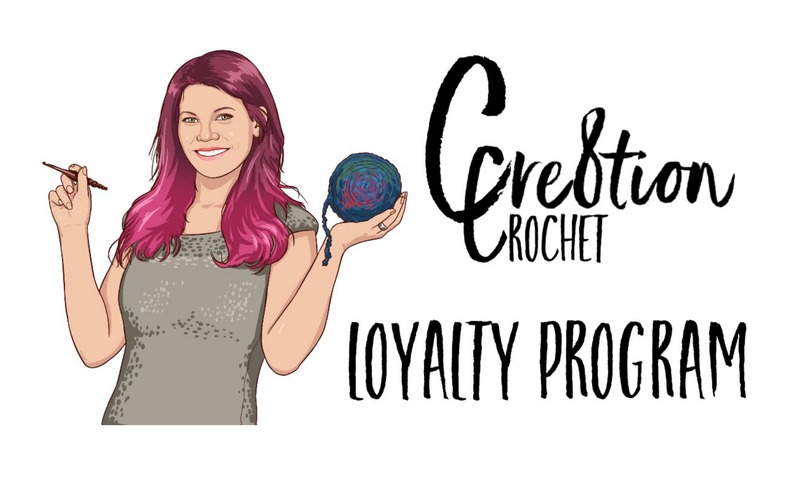 Join the Cre8tion Crochet Loyalty Program. Choose your level and start saving today! How do I get my 50% discount? 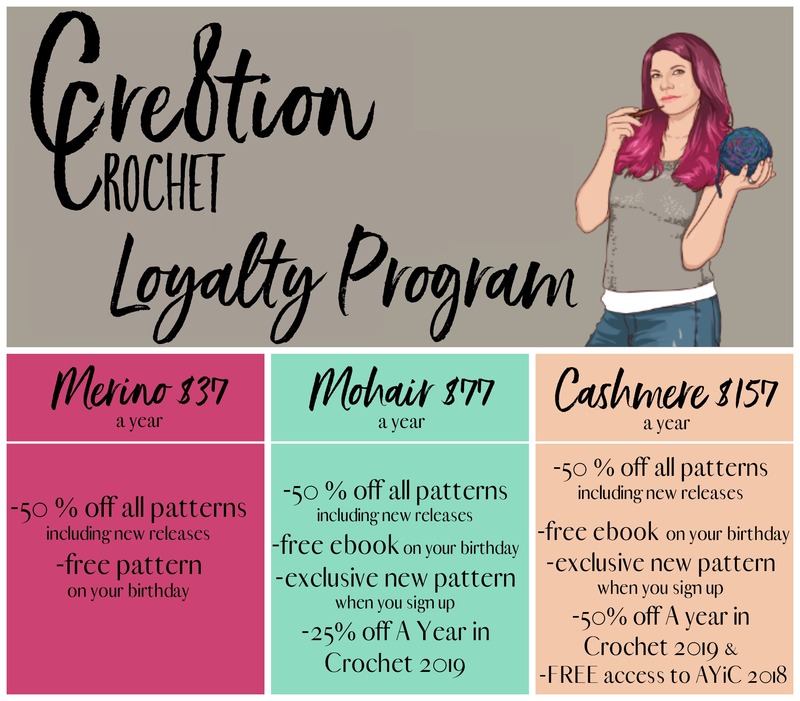 Once you choose your desired level and purchase the loyalty program you will get an email with all the levels of your enrollment, including your exclusive promo code through Ravelry, that will give you 50% off every Cre8tion Crochet pattern. Your extra birthday bonus will be sent directly to the email you sign up with, on your birthday. What if I'm already signed up for AYiC 2018? If you are already subscribed to A Year in Crochet 2018 then I have amazing news.... when you purchase the Cashmere level you will automatically be signed up for AYiC 2019 for FREE! That's right.... you won't have to do a single thing, or pay another penny! When will AYiC 2019 be available? A Year in Crochet 2019 is now available for purchase. If you are not already a member of A Year in Crochet 2018, click below to get more information or to purchase. Hello friends. I am Lorene, the designer behind Cre8tion Crochet, 'where beautiful is easy' AND the mastermind behind Cre8tion Business Academy, 'where business is fun'. I have been a professional crochet designer for over 5 years and I am also the Creative Director for Furls Crochet. My work has been published on the cover of magazines, with yarn companies (both big box and indie) and more. My passion lies in creating beautiful designs that are easy to make AND in helping my fellow crocheters and entrepreneurs to have successful businesses of their own.